There is a Minor in the back of a factory yard next to our bus yard. I've seen an Opel Kadet running around my neighborhood, held together by bailing wire and bird droppings. Opel Kadets came out of the FACTORY held together with bailing wire and bird droppings! WC5P and WA7PRC like this. I thought it looked factory, in high school, my girlfriends dad had a Triumph Herald, that was a true P.O.S., of course I had a series of Fiats. Also had a '59 Peugeot 503, '67 Opel Kadett B 3 door wagon, '71 Opel Manta, '74 Fiat 124 Special, four VW Beatles and three VW vans.... think that's all for older European cars... Oh, and a '65 Ducati 250 Scrambler motorcycle! When I was a kid my dad had an early 60's Sunbeam Rapier. Years later I worked with a guy that had a Sunbeam Tiger Mk2. Basically it was a two seater Alpine with a 289 Ford v8 engine. Man, would that car move! Was that the "unsafe at any speed" model? 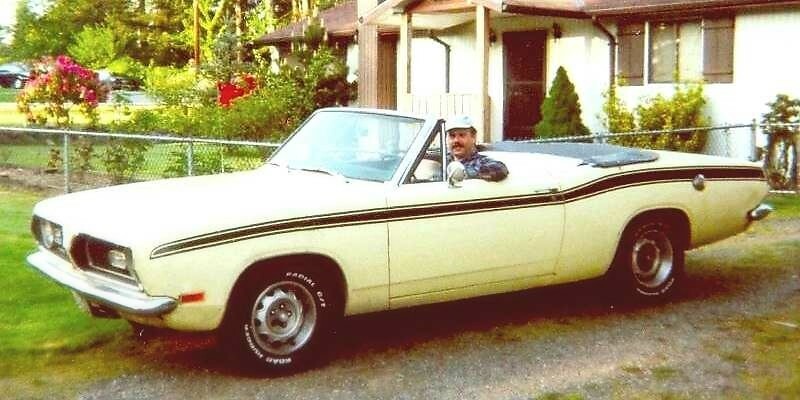 In the early 70's my XYL (though, she wasn't an XYL then, just a YL) had a Corvair. Her father got very upset when he saw the tires lift off the ground, as she negotiated a turn. So her father got the idea that the front end needed more weight. So with a neighbor, her father loaded a huge rock in to the trunk (front of the vehicle). That seemed to keep the car on the ground, for the most part. But we lived in New Jersey, which was hard on cars. The car already had a good bit or rust and, over the years, it started to rust around the rock. Well, she was driving down the road one day and the rock finally fell through the trunk bottom. This brought the car to a very quick stop. When the police showed up, they asked "What's the problem"?. To which my XYL replied, "I dropped my rock". When they saw the problem, the police couldn't understand, how a huge rock got into the road way and, how she managed to get over that rock. When she explained, the police had a very big laugh. Two of them lifted the car off of the rock and pushed the rock to the side of the road. She finally turned that Corvair in for a brand new Ford Pinto. Yea, go figure. But it was only $2,000, brand new. I was no better at my choice in cars. In the same time frame as above, I purchased a used Ford Cortina. I used it for several years and only saw one other car on the road like it. I should have known better when I bought it. It came with a nice hard bound service manual, that had grease on most of the pages. Initially, it had a bad starter. The starter worked but the casing was cracked. I held it together for a while with tape, but mostly I always parked on a hill, so I could push it and pop the clutch. I could have purchased a new starter, but it was very expensive and had to be shipped from England. I did eventually spill for the starter. I really did like that little car, but one day, while I was making a left turn, I down shifted to 2nd gear, and that's where it stayed. It seems that the ball that is used as a pivot for the shift arm, smashed into pieces. I had to drive the rest of the way in 2nd gear. Finding a part for that problem was impossible. So I just reassembled the ball with electrical tape. The care always had a issue with falling out of 4th gear, unless I hung on to the shift knob, while I was driving. I spent a good deal of time repairing things on the Cortina, but I still loved the car. It wasn't until another driver rear ended me, while we were stopped for a traffic light, that I finally got rid of it. The driver that caused the accident, actually hit the car that was 3 cars behind me. But he was going so fast that he pushed everyone forward. So there was five cars involved, overall. We didn't have a problem getting the police to respond, because it happened right in front of the police station. They just walked across the street. There are just so many stories, with that car alone. Maybe I should write a book? but you can't unring a bell. Only just seen this thread . . . I'm pretty sure I saw one pass me in the other direction on a highway here in New Hampshire a few years ago. It was right hand drive. I couldn't believe my eyes. I recognized it because we had them in New Zealand. Someone around here has an old right hand drive Land Rover. My neighbor has a weird little right hand drive Japanese truck. He always drives around with his dog in the passenger seat. I'm sure he's going to get stopped by a cop one day and the dog will be asked for his driving license. I recognized it because we had them in New Zealand. The ones still around have usually been restored and are in quite good condition. My sister had a Morris Minor with the soft top. It was the soft top that fell off. I got to drive it around the farm when I was 14. I found the key to driving a convertible when it's raining... don't stop. My 1969 Plymouth Barracuda 340-S convertible. 83 were produced w/ 340-4V and any other options.